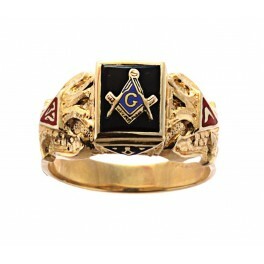 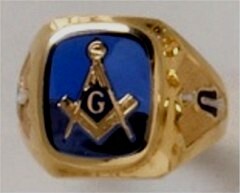 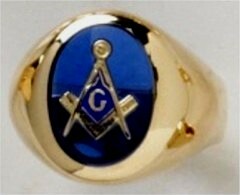 3rd Degree Masonic Blue Lodge Ring 10KT or 14KT Gold, Open or Solid Back Two Tone with white gold top and yellow gold shank. 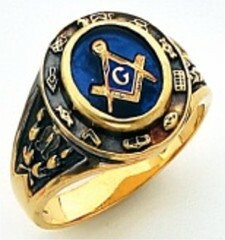 This ring is appproximately 11/16 inch wide. 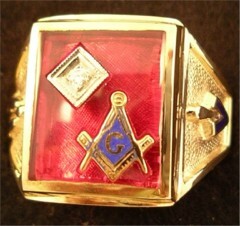 The sides (shank) of this ring are 10KT yellow gold and the top (face) is 10KT white gold.